What a nostalgic photo! I lived in Endcliffe Glen Road, went to Hunter’s Bar School, then High Storrs, attended St Augustine’s during all my childhood and youth before my family moved to Fulwood. I attended Sunday School here, was confirmed here, was a member of the Youth Club……all under The Very Reverend Dennis Boyling in the 50’s and 60’s. Back then I was Diane Gowshall. I miss those days very much, as it started my life long commitment to Him – but I doubt there is anyone still there who remembers me. One day I hope to attend another service under it’s roof…….if and when I return from NZ! Thank you for your comments, good to receive such. I will pass them on to the older (!) members of congregation. 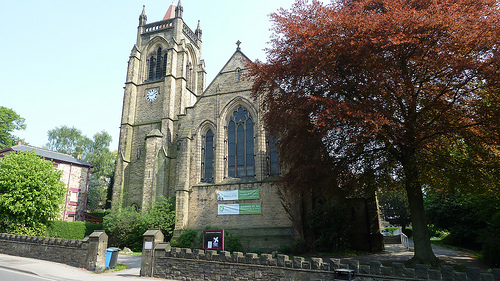 Copyright © 2019 St Augustine's Sheffield.